The Ritz-Carlton Dove Mountain Spa took the third spot overall among resort spas and the top Arizona ranking in Condé Nast Traveler’s 2012 Top 270 Spas readers’ poll. The Ritz-Carlton spa ranked third among resort spas in North America, thanks to perfect scores for its facilities and treatments. The Ritz, which opened in late 2009, also ranks at the top of the magazine’s list among all 11 Arizona spas included in the poll. 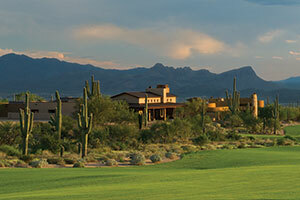 The next-highest-ranking Tucson-area resort on the list is the JW Marriott Starr Pass Resort & Spa, at No. 30. Miraval Resort & Spa was listed at No. 72, while Canyon Ranch ranked 94th. The highest-ranking Arizona resort spa on the list after the Ritz is Mii Amo Spa at Enchantment Resort in Sedona, at No. 7.